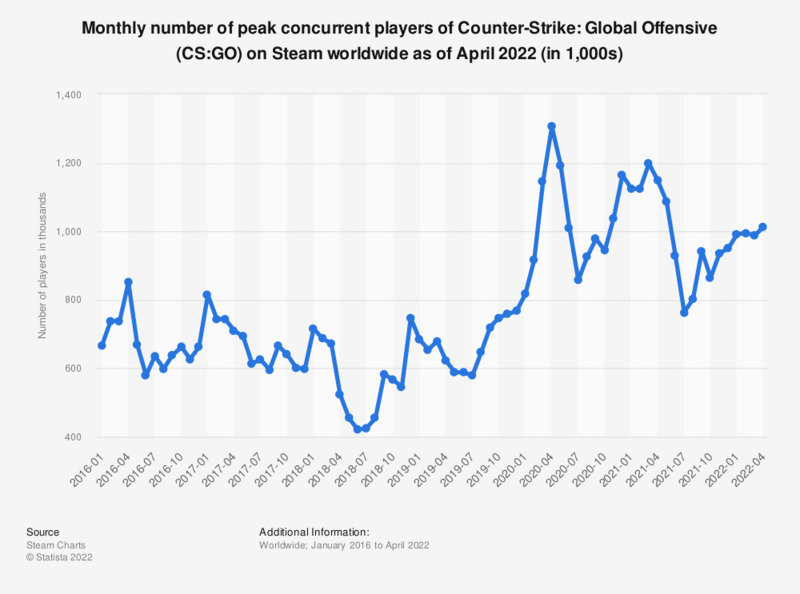 The statistic shows information on the monthly number of peak concurrent players of Counter-Strike: Global Offensive (CS:GO) on Steam worldwide as of February 2019. In February 2019, CS:GO reached 654.07 thousand concurrent players on Steam. In the measured period, the game reached its record high peak concurrent player number in April 2016 at nearly 850.5 thousand gamers playing at the same time. Everything On "Counter-Strike: Global Offensive" in One Document: Edited and Divided into Handy Chapters. Including Detailed References.